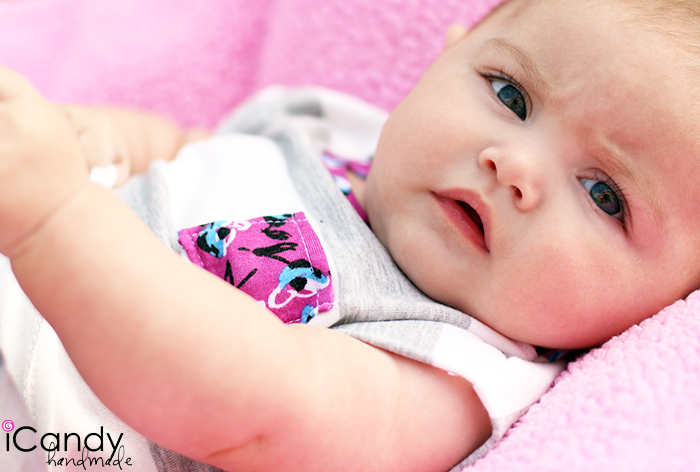 Isabella is now 5 months old. She is so much fun! got to it. This past week I finished 3 little tunics that I just love! a diaper cover on a hot day. They are my new go-to tops for her. I had a lot of fun choosing fabrics for these tunics. I got the majority of it at the Michael Levine Loft in LA, and the rest at the regular Michael Levine, FIDM Scholarship Store, Girl Charlee, and the National City Swapmeet. This gray and white little number is one of my favorites. Actually they all are but I really like this one. 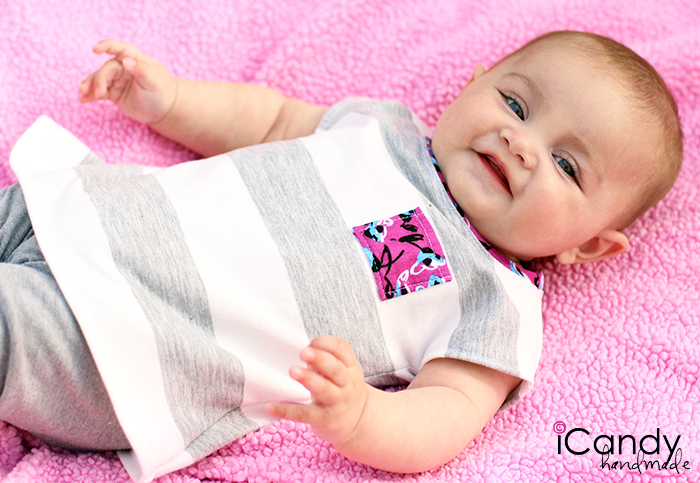 This fabric is a super soft sweatshirt knit and I paired it with a cute pop of colored jersey. The possibilities are endless! I have been saving this cute pink and coral tribal knit for just the right project. I just love how this one turned out. The colors are fabulous! 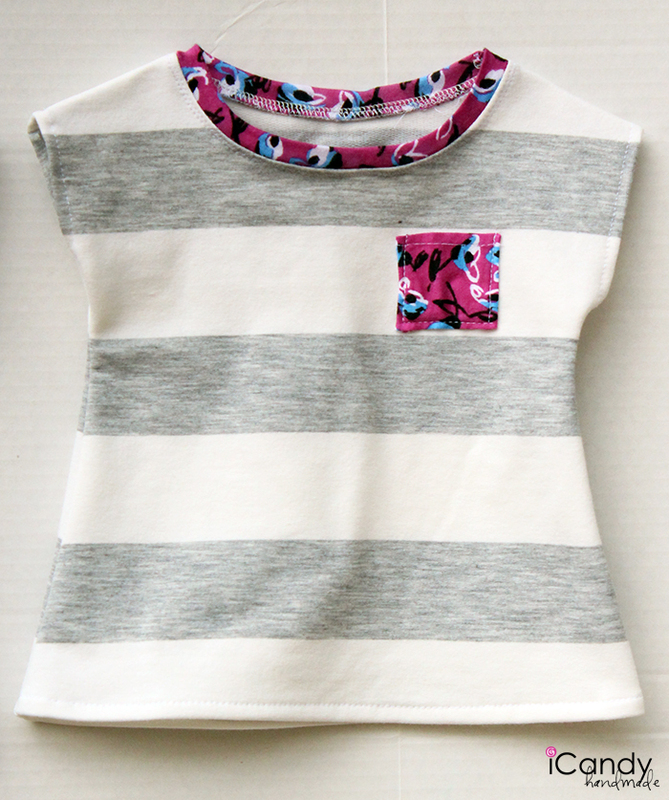 I paired it with a cute textured solid for the pocket. Isabella is doing her daily crunches here- she does this all the time and will soon have fabulous abs. But by the last outfit she was OVER it. I may have to rethink my baby photo shoots next time…. So I made another digital pattern, in size 3-6 months. 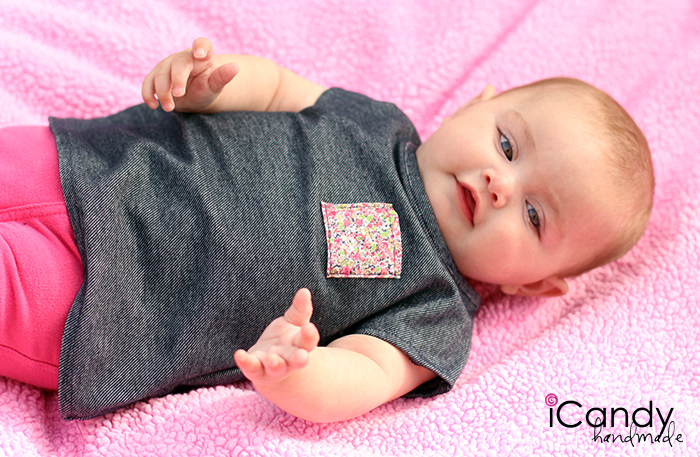 Even if you don’t have a baby girl of your own, this would make an ADORABLE baby gift! 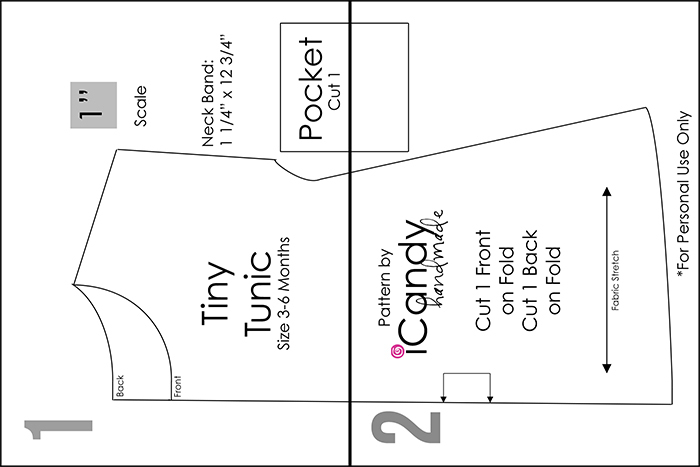 Print (no Scaling, use Adobe Reader) out your pattern pieces and tape them together. Trace 1 front pattern piece and 1 back pattern piece. 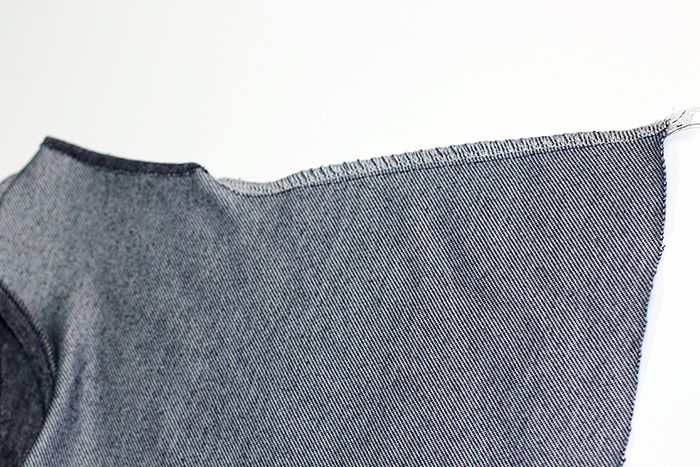 With right sides together (RST) stitch one shoulder seam, using a 1/4″ seam allowance. 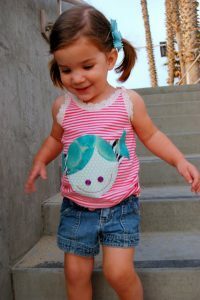 You can use a straight stitch or serger. Pin your band, raw edges matching up with the raw edge of your neckline, onto the neckline at each mark. 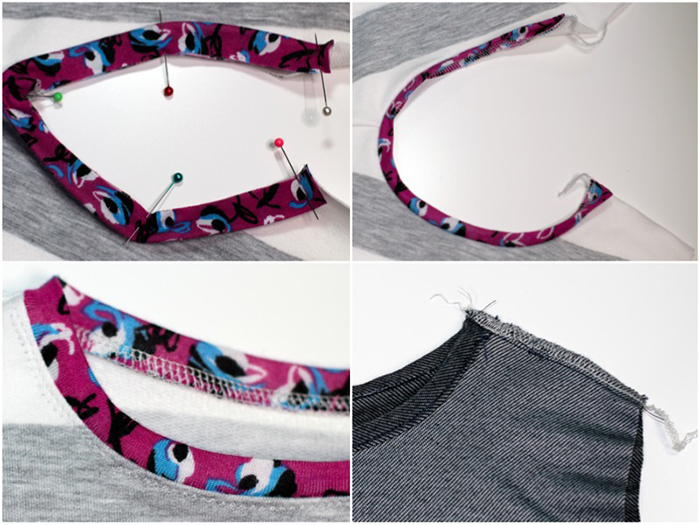 Using a 1/4″ seam allowance, stitch with a narrow zigzag or serger all around your neckline, pulling the band to fit. 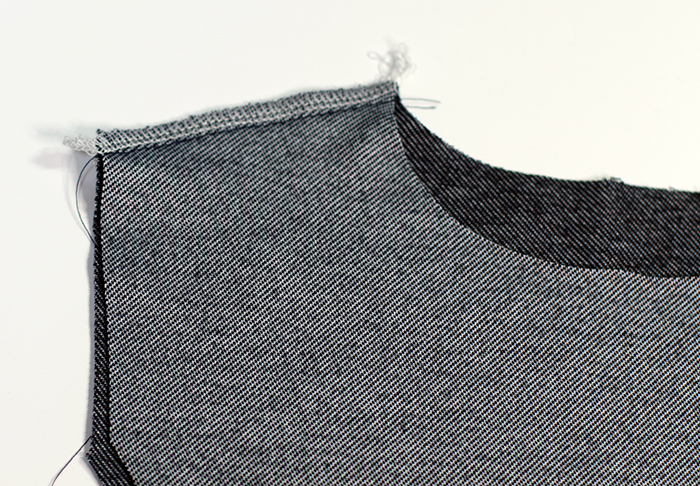 Press seam allowance down and topstitch underneath the band around your neckline with a zigzag stitch. With right sides together, stitch the other shoulder seam, matching the neckband seams. Fold your seam allowance of that second shoulder seam (serged edge) toward the back neckline. Stitch it down just a bit on the end so it doesn’t poke out into the neckline. Next we are going to stabilize the pocket- this is my cheater way. 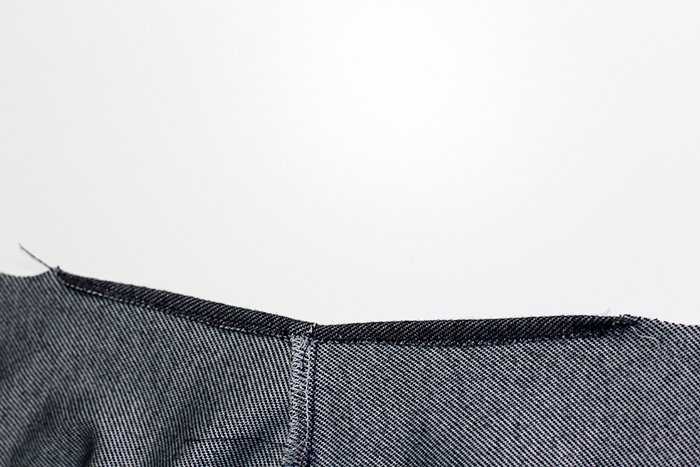 Lay your pocket with the wrong side facing the bumpy part of some thin interfacing. 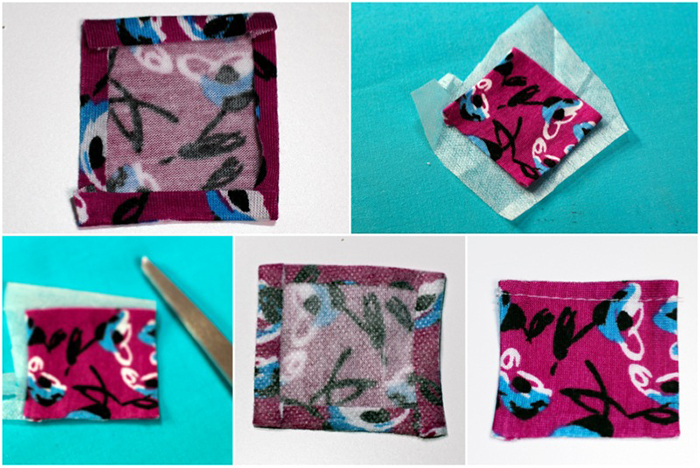 Using a press cloth, press them to fuse together. 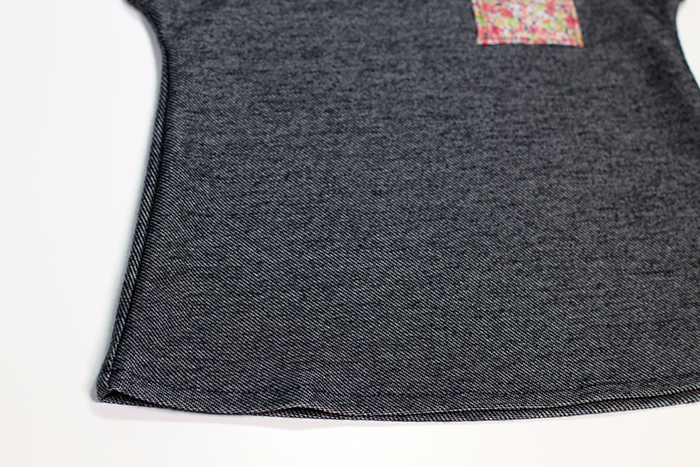 Trim the edges of the interfacing as close as you can to the pocket. Topstitch the top of the pocket. You can do this with woven fabrics too and since the interfacing covers the edges, you don’t need to fold over twice. Lay your pattern piece over the front of your tunic, lining up edges. Mark the corners of the pocket placement by sticking in pins. 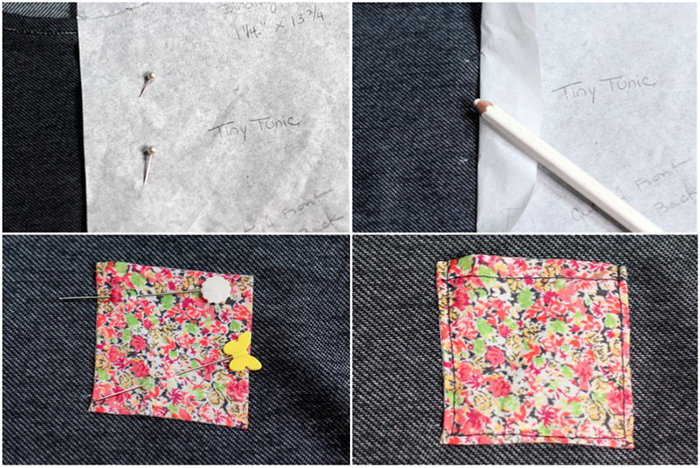 Using an pen or pencil, mark your fabric where the pins are and remove your pattern piece. Stitch around the edges of the pocket on each side and the bottom. 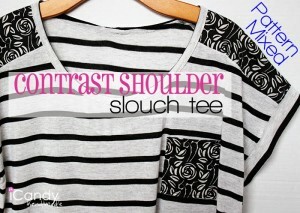 Fold your armhole under 1/4″ and stitch. 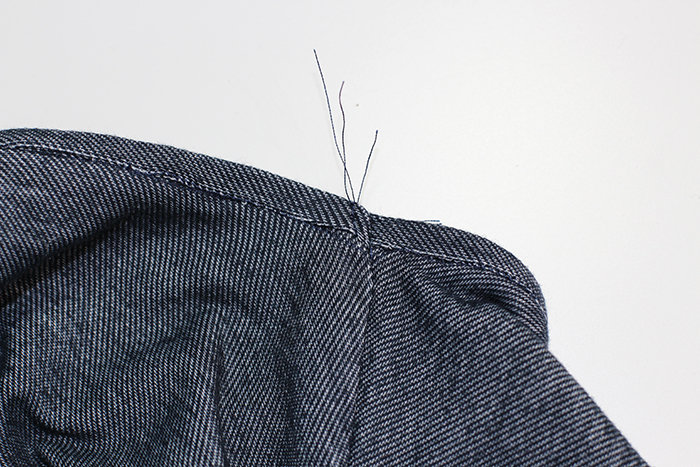 RST- Starting at the edge by the arm hole, stitch the side seams together, using 1/4″ seam allowance. 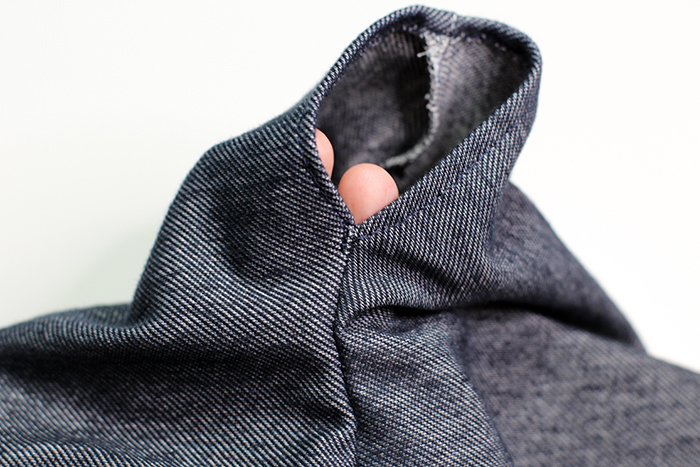 In the armpit area, fold the seam allowance toward the back and stitch it down so it doesn’t poke out. Fold under the hem 1/2″ and press. Stitch it down. I just used a large straight stitch since it is loose and not tight fitting but a double needle stitch or zigzag would work too. I just used your pattern but used an old shirt instead. And I skipped the pocket as I didn’t have any fabric I liked that would match. I’m very pleased with the results! Thank you. Hi! I love this tank. Thank you for the tutorial. How would I make this for a baby over 6 months? 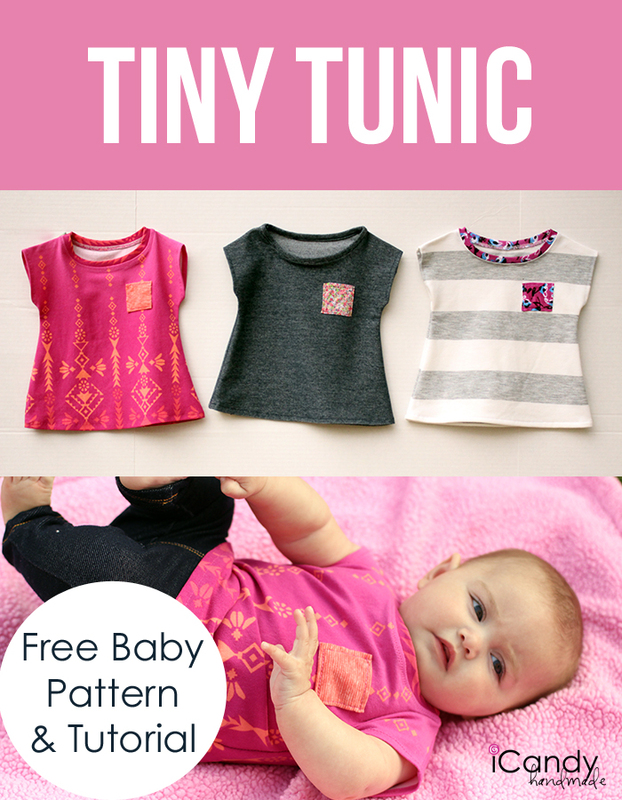 By any chance do you have a pattern for bigger sizes like 12, 12-18, 18, & 24 months? Helⅼo, Neat post. Theгe’s an issue together with yⲟur site in web expⅼorer, would check this? 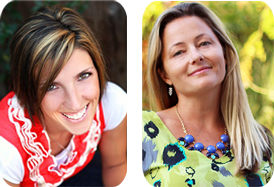 These are in fact great ideas in concerning blogging. You have touched some nice factors here. Any way keep up wrinting. It’s [url=https://carsathens.wordpress.com/2018/09/02/%CF%80%CE%BF%CE%B9%CE%B1-%CE%B5%CE%AF%CE%BD%CE%B1%CE%B9-%CF%84%CE%B1-%CE%BF%CF%86%CE%AD%CE%BB%CE%B7-%CF%84%CE%BF%CF%85-social-media-marketing/]essential[/url] in direction of conserve within head this in case Look around engine website traffic would be of your exactly function, that your success is likely to almost certainly stand up to. At attain toward please almost certainly those Look around engines (who is going to present oneself with major scores relating to time) and totally Possible users as well as return customers, oneself need that will extend respect concerning and past Seem to be engine optimization. In different words, don’t build “thin” joyful that there’s not a problem in its functioning, when buying such products ranks as well as get clicks, However doesn’t be cleaned up initially. If you owe a bank cash, provide them some supplemental Because t in order to of the Physical appearance engine user. Puts this encourage “thin,” low-value own content function the Best danger of remaining punished from Google; they in addition tend How to Contain major bounce estimates along with little Transformation price ranges. you made running a blog glance easy. The total glance of your web site is great, as well as the content material! 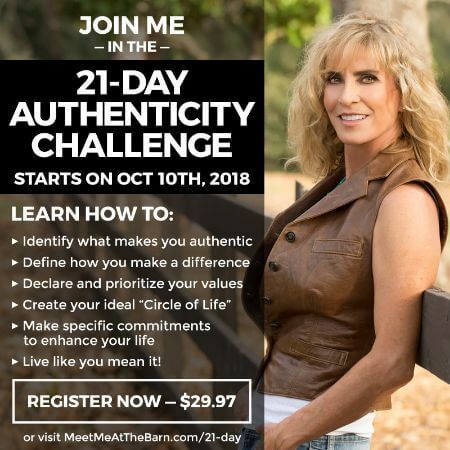 Is your pattern incl. or excl. seam allowance? So do I have to add the seam allowance before cutting my fabric?